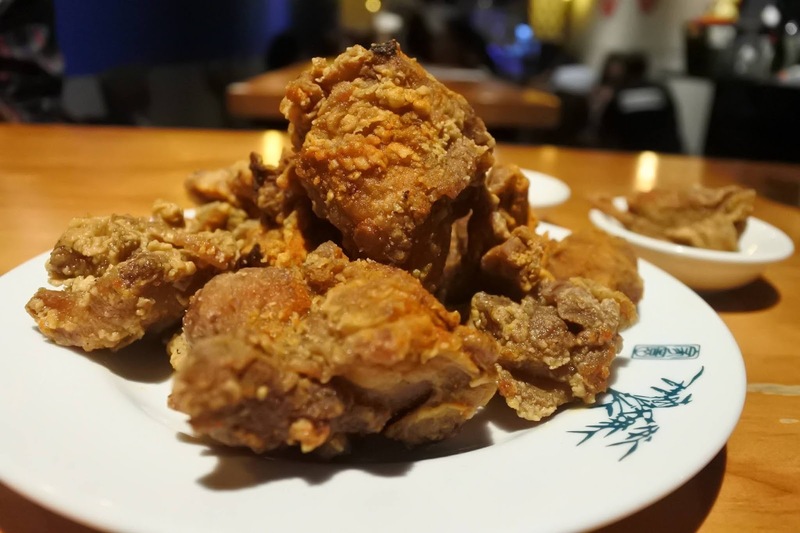 A couple of months back, I did some food tasting and restaurant review in Singapore and The Salted Plum was on my list. However, some of the dishes I need to order was only available during lunchtime and it was already past 6pm when we arrived at the restaurant so I wasn't able to taste the rice bowls. 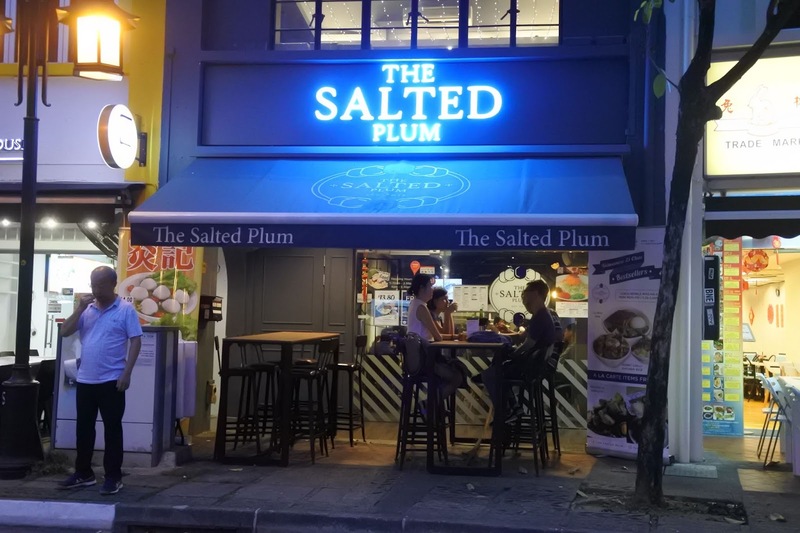 The Salted Plum is located in the Boat Quay district so it was a cool experience to get lost a bit while my daughter and I searched for the restaurant. And we were quite famished by the time we got there so we ordered a couple of noms to give some some energy. 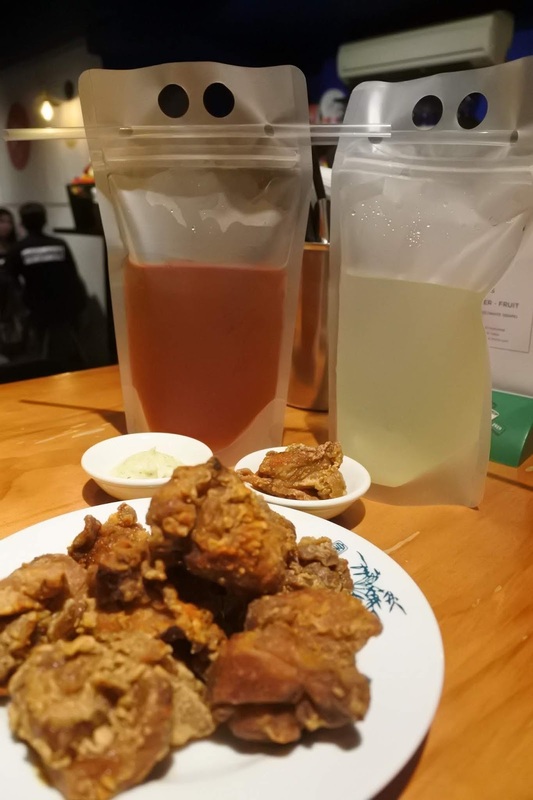 The restaurant serves rice bowls during lunchtime and choices of Taiwanese street food and some other dishes a la carte (basically the same during lunchtime except the dishes are not in rice bowls) and some choices of beer and wine in the evening. Singapore was experiencing hot weather that time and the air was humid so we got us some iced drinks which was served in to-go packets. We got red tea and salted plum drinks. It is nice to note that the drinks actually tasted more tea-ish than sugar-ish. And the salted plum drink was both sour and salty with a hint of sweetness. A bit weird tasting but one I got used to the taste after a few sips. 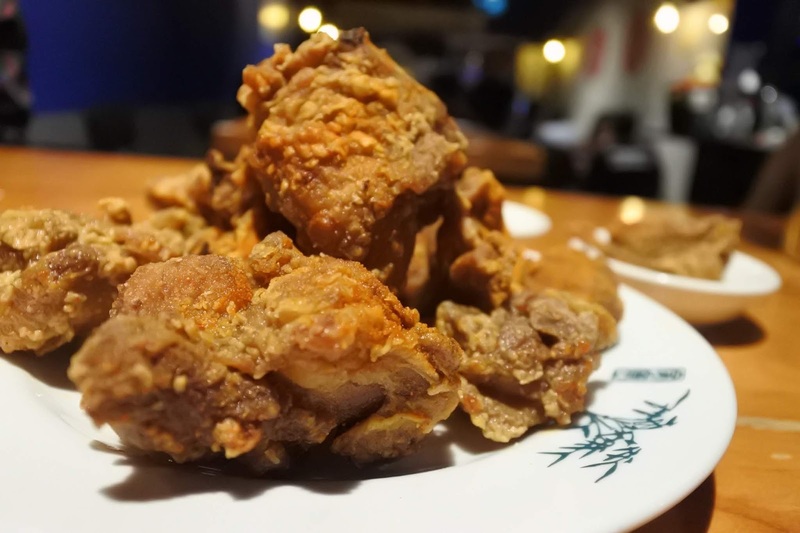 Then we had the Taiwanese Fried Chicken which was perfectly cooked- crunchy on the outside and has tender and flavorful meat on the inside. It comes with a slice of lemon and nori mayonnaise dip which I didn't recall tasting since I love the chicken as it is. So this is our $10 SGD Steak which made me and my daughter sad after finishing off the whole plate. 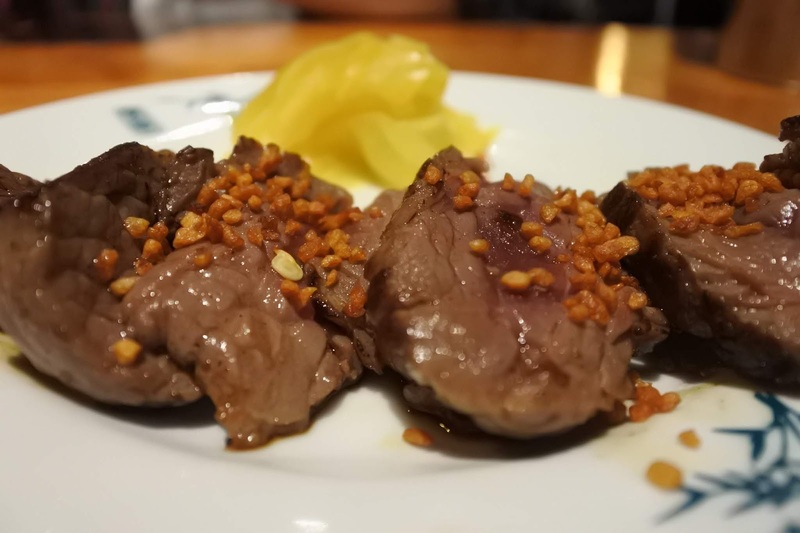 It was buttery soft and melt-in-the-mouth kind of steak with some garlic sprinkle and pickled ginger on the side. Really, really good.